The Rainbow combines all the attributes expected from a board of this class. All-in-One binding for everyone! 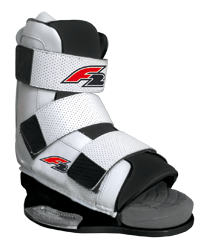 If you are looking for a precise hold, the new F2 wakeboard binding is the right choice.